All computer systems can suffer from malware, ransomware, rootkit and viruses, including Linux and BSD. 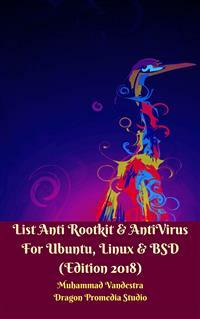 Thankfully, very few viruses exist for Linux, so users typically do not install antivirus software. It is still recommended that Linux users have antivirus software installed on Linux systems that are on a network or that have files being transferred to the device. Some users may argue that antivirus software uses up too much resources. Thankfully, low-footprint software exists for Linux. To better understand antivirus programs, it may be beneficial to understand malware itself. If you are running a SME business with a number of workstations, it might be a good idea to install an antivirus on the central computer that manages all the emails, data and traffic in your company. The best way to protect a system against viruses is to only download and install software from trusted sites and developers.